The north of England has long been famous for its numerous high-quality universities and they have never been more popular. This is due to a combination of increasing student numbers in general and a growing awareness that the lower cost of living in the north means that students can achieve a recognized degree much more affordable than they could if they attended a university of equivalent standing in the south of England, especially London, Oxford and Cambridge. 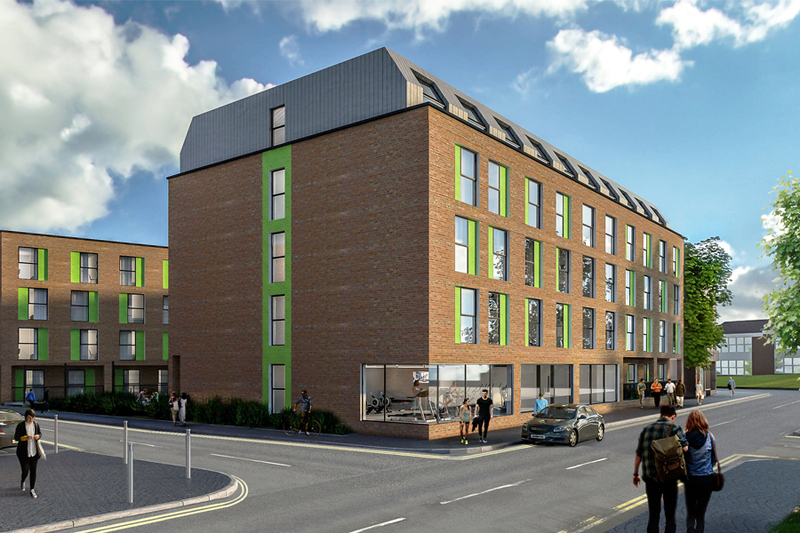 Because of this, this is a growing need for modern, purpose-built student accommodation throughout the North of England, including Preston, which is home to the University of Central Lancashire. While Preston may not be the first name which springs to mind when you think of university towns (or in this case university cities, as Preston was granted city status in 2002), Preston is home to one of the largest universities in the UK. UCL is not only popular with domestic students, but also enrolls international students from all over the world, including many from non-EU countries, especially China, India and the U.S.A. One reason for Preston’s popularity as a student destination is that it has outstanding transport links to the rest of the U.K. and beyond. This is not only very convenient for students who want hassle-free travel between their parental home and their academic “home-from-home”, but also a major attraction to students who want to make use of their time at university to explore the U.K. as a whole. At the current time, the University of Central Lancashire is the 19th-largest university in the UK in terms of student numbers (out of a total of around 130). It already offers a wide range of courses, both purely academic and vocational, and is in the final phases of an expansion project known as “Master Plan 2020”, which will further enhance the university’s appeal. UCL recognizes that its continued popularity (and therefore further development and expansion) depends upon students being able to find high-quality accommodation at an affordable price. For this reason, it was very happy to engage with the Ladson Group in order to facilitate the development of The Printworks in Preston, which has an estimated completion date of quarter three 2021 and will comprise 218 well-appointed studio apartments, including accessible studios, complete with on-site facilities, situated literally on the UCL campus. Investors can secure a standard studio (18 square metres) in The Printworks for as little as £63,000, accessible studios (33 square metres) and deluxe studios (22 square metres) are both priced from £69,000. The first £5000 of this is payable upon reservation, with 50% of the remaining price due upon exchange. Investors will then be requested to provide a 25% stage payment in March 2020 with the final installment becoming due upon completion (minus 4% interest on the funds paid up to that point). In return, investors will receive a guaranteed rental yield of at least 9% over a five-year period. The first 50 sales will benefit from a guaranteed rental yield of 10% over a five-year period. For more information on the Printworks or to browse a range of student property investments, please contact Hopwood House.